Susan is a Research Fellow in the Centre for Maternal and Child Health Research. Her work addresses the challenges involved in ensuring equitable access to maternity care services for women in low-income contexts. Her research is underpinned by an interdisciplinary approach. Specific interests are the role of power, organisational culture, teamwork and models of care. In May 2018, Susan completed a PhD in Health Services Research at City. This focused on midwives' perspectives on the barriers and enablers of providing respectful maternity care in Malawi, using the frames of postcolonialism and oppressed groups theory. Prior to this, she was awarded an MSc in Global Health (2007). Her dissertation explored the factors affecting the performance and retention of mid-level providers in emergency obstetric and newborn health care within the Malawian health system. Susan has spent more than 10 years conducting research in low-income contexts and working in large, multi-disciplinary groups of research and advocacy organisations. From 2007-2014 she worked as a researcher at Trinity College Dublin and also spent some time as a researcher/writer with AMDD, Columbia University Mailman School of Public Health. 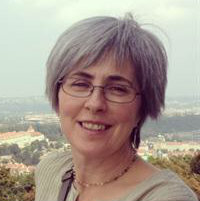 She has extensive experience of the logistics and practicalities of carrying out research in sub- Saharan Africa, from drafting initial project proposals through to hands-on experience of data collection, capacity building and qualitative data analysis with project partners in Malawi, Tanzania and Mozambique. Madede, T., Sidat, M., McAuliffe, E., Patricio, S.R., Uduma, O., Galligan, M. … Cambe, I. (2017). The impact of a supportive supervision intervention on health workers in Niassa, Mozambique: A cluster-controlled trial. Human Resources for Health, 15(1). doi:10.1186/s12960-017-0213-4 . Uduma, O., Galligan, M., Mollel, H., Masanja, H., Bradley, S. and McAuliffe, E. (2017). The impact of a human resource management intervention on the capacity of supervisors to support and supervise their staff at health facility level. Human Resources for Health, 15(1). doi:10.1186/s12960-017-0225-0 . Chipeta, E., Bradley, S., Chimwaza-Manda, W. and McAuliffe, E. (2016). Working relationships between obstetric care staff and their managers: A critical incident analysis. BMC Health Services Research, 16(1). doi:10.1186/s12913-016-1694-x . Shemdoe, A., Mbaruku, G., Dillip, A., Bradley, S., William, J.J., Wason, D. … Hildon, Z.J.L. (2016). Explaining retention of healthcare workers in Tanzania: Moving on, coming to 'look, see and go', or stay? Human Resources for Health, 14(1). doi:10.1186/s12960-016-0098-7 . Bradley, S., Kamwendo, F., Chipeta, E., Chimwaza, W., de Pinho, H. and McAuliffe, E. (2015). Too few staff, too many patients: A qualitative study of the impact on obstetric care providers and on quality of care in Malawi. BMC Pregnancy and Childbirth, 15(1). doi:10.1186/s12884-015-0492-5 . Chimwaza, W., Chipeta, E., Ngwira, A., Kamwendo, F., Taulo, F., Bradley, S. … McAuliffe, E. (2014). What makes staff consider leaving the health service in Malawi? Human Resources for Health, 12(1). doi:10.1186/1478-4491-12-17 . Bradley, S., Kamwendo, F., Masanja, H., de Pinho, H., Waxman, R., Boostrom, C. … McAuliffe, E. (2013). District health managers' perceptions of supervision in Malawi and Tanzania. Human Resources for Health, 11(1). doi:10.1186/1478-4491-11-43 . Bradley, S. and McAuliffe, E. (2009). Mid-level providers in emergency obstetric and newborn health care: Factors affecting their performance and retention within the Malawian health system. Human Resources for Health, 7. doi:10.1186/1478-4491-7-14 . The British Psychological Society, Psychology of Women & Equalities Section Annual Conference. (Conference) Windsor, UK (2018). Co-authors: McCourt, C., Rayment, J. and Parmar, D.
Lugina Africa Midwives Research Network Second Conference. (Conference) Lilongwe, Malawi (2018). Global Women’s Research Society (GLOW) Annual Conference. (Conference) University of Cambridge, UK (2018). 18th Annual Researching Africa Day Workshop. “African Studies Beyond the Binary: Critical Encounters at the Intersection”. (Conference) University of Oxford, UK (2018). 5th Annual Doctoral Research Conference. (Conference) School of Health Sciences, City, University of London, UK (2017). Postcolonialism in Interdisciplinary Perspective Conference. (Conference) University of Birmingham, UK (2017). IV International Conference on Humanization of Childbirth. (Conference) Brasilia, Brazil (2016). Human Rights in Childbirth Africa Summit. (Conference) Johannesburg, South Africa (2015). Global Maternal Health Conference. (Conference) New Delhi, India (2010). Co-authors: Masanja, H., Kamwendo, F., McAuliffe, E. and de Pinho, H.
The Global Health Workforce: Pathways to Health, Irish Forum for Global Health Conference. (Conference) Dublin, Ireland (2010). Co-authors: Kamwendo, F., Masanja, H., de Pinho, H., Waxman, R., Boostrom, C. and McAuliffe, E.
Co-authors: Kamwendo, F., Masanja, H., de Pinho, H., Sidat, M. and McAuliffe, E.
Innovating for the Health of All, Global Forum for Health Research. (Conference) Havana, Cuba (2009). Co-authors: McAuliffe, E. and Shehu, D.
First Global Health Workforce Alliance Forum. (Conference) Kampala, Uganda (2008).